Potty training is often one of the most difficult developmental hurdles of early childhood, but it doesn't have to be. This fun-theme rewards chart is easy to use, promotes good habits through positive experiences, and features your child's Paw Patrol pups. 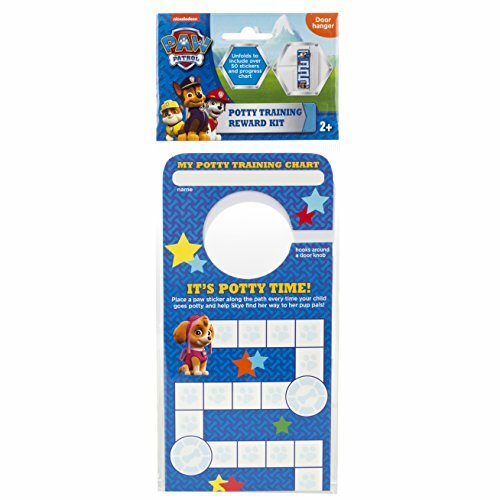 Simply place a paw sticker in the box every time your child goes or attempts to go potty, in order to help Skye find her other pup pals. The best part? This chart hangs on the door handle, so you can chart your progress right on the bathroom door. The chart unfolds to provide over 50 reward spaces and also includes 50 additional reward stickers so you can track your progress each and every time. 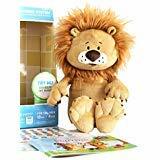 Larry Lion makes potty training a roaring good time! Say "bye-bye" to diapers and "hello" to Potty Pals! Potty training can be a challenging chapter in your child's life. With our interactive, lovable Pals, colorfully illustrated book and training chart complete with stickers, we've made learning easy and fun. When nature calls, grab your Pal and 'go'! Note: Potty Pals are switched off for shipping, please remember to turn your Pal on when you receive it. 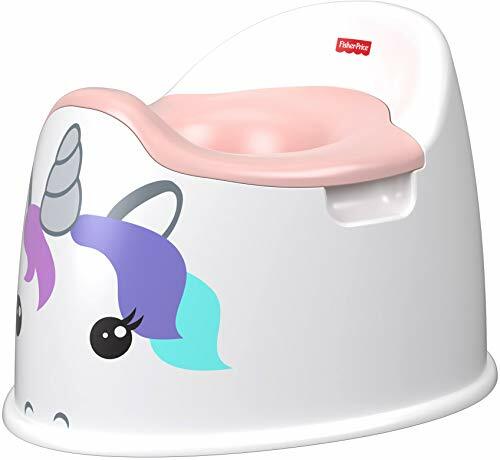 Everybody's gotta learn, and the Fisher-Price Unicorn Potty helps the training process along with a magical potty pal. 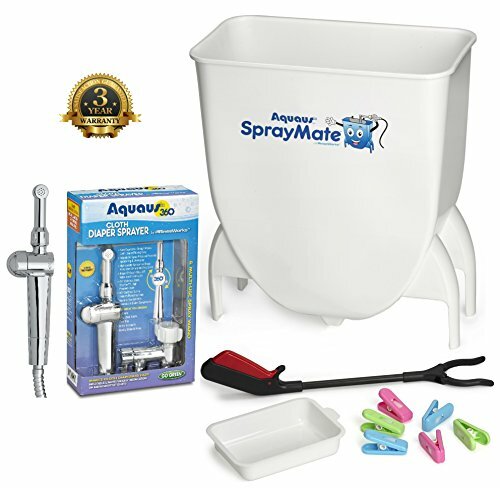 Its friendly face and easy-grasp handles help toddlers feel more comfortable and secure as they do their business, while the built-in splash guard and removable bowl helps keep cleanup quick and easy. Where development comes into play Gross Motor: As little ones independently lower themselves onto the potty (and get back up again! ), they'll develop balance & coordination. Self-Identity: Every successful visit to their potty pal helps build up your toddler's self-confidence! Security & Happiness: The low seat and easy-grasp handles help toddlers feel secure and grounded as they sit on the potty and are introduced to the potty routine. 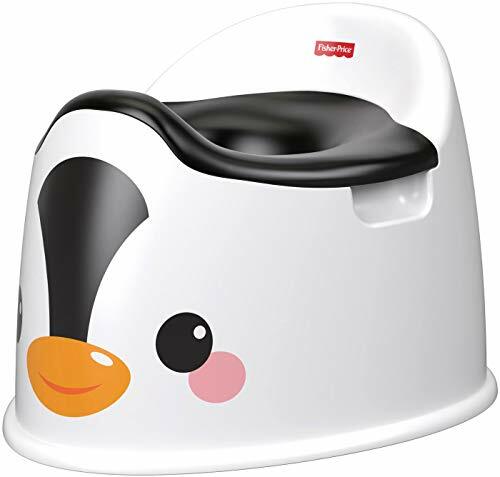 "Everybody's gotta learn, and the Fisher-Price Penguin Potty helps the training process along with a chill potty pal. Its friendly face and easy-grasp handles help toddlers feel more comfortable and secure as they do their business, while the built-in splashguard and removable bowl helps keep cleanup quick and easy. This unflappable potty pal helps everyone stay cool during the potty-training process! Where development comes into play Gross Motor: As kids independently lower themselves onto the potty (and get back up again! ), they'll develop balance & coordination. Self-Identity: Every successful visit to their potty pal helps build up your toddler's self-confidence! Security & Happiness: The low seat and easy-grasp handles help toddlers feel secure and grounded as they sit on the potty and are introduced to the potty routine." Potty Paper Holder - Make Potty TIme Fun! From tiny tots still learning how, to older ones who finally got it down, the KooKooLoos Potty Paper Holders add endless fun to potty time! 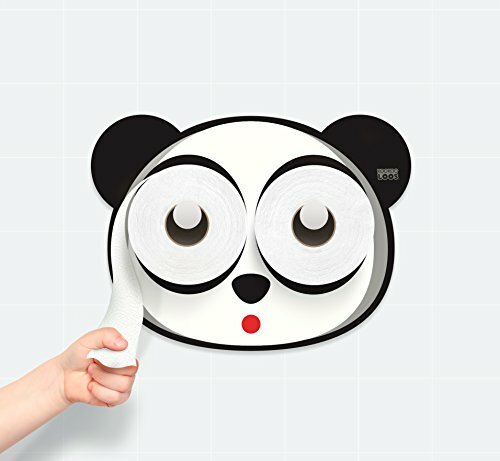 Meet Pandy, a cool potty pal designed to get your child excited about using the potty! Pandy is double the fun, featuring two full-size toilet paper holders. Enjoy no-fuss installation using double-sided adhesive strips that easily and safely secure to your bathroom wall or tile. Potty Paper Holder - Make Potty TIme Fun! From tiny tots still learning how, to older ones who finally got it down, the KooKooLoos Potty Paper Holders add endless fun to potty time! Meet Hoot, a special potty pal designed to get your child excited about using the bathroom! Hoot is double the fun, featuring two full-size toilet paper holders. Enjoy no-fuss installation using double-sided adhesive strips that easily and safely secure to your bathroom wall or tile. Potty Paper Holder - Make Potty TIme Fun! From tiny tots still learning how, to older ones who finally got it down, the KooKooLoos Potty Paper Holders add endless fun to potty time! Meet Frog, a cool potty pal designed to get your child excited about using the potty! 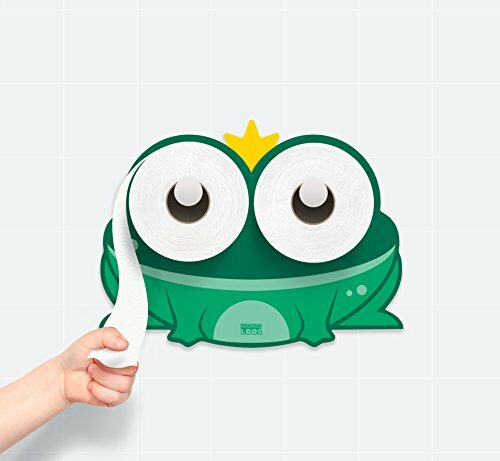 Frog is double the fun, featuring two full-size toilet paper holders. Enjoy no-fuss installation using double-sided adhesive strips that easily and safely secure to your bathroom wall or tile. 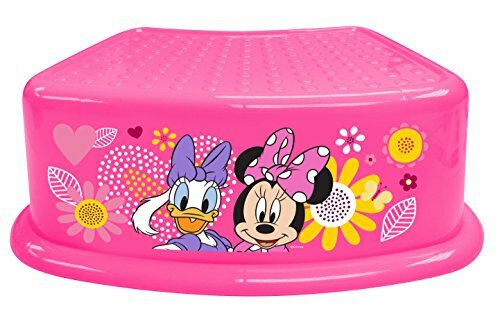 Whether you're looking for a boost during potty training, teeth brushing or sneaking into the cupboards, the Minnie Mouse & Daisy Duck 1-Step Stool provides the right amount of lift for your child. It employs a stiff, gripping rubber on both the top and bottom, allowing your child to stay planted firmly on top while the stool stays secure to the ground. Weighing only 1 lbs and designed with younger hands in mind, this 1-Step Stool is a fantastic lightweight solution that can be carried around to explore all the tall corners of your home.